A menu matrix puts each item on your menu into four categories: Stars, Puzzles, Plow Horses and Dogs. Stars are items with higher than average sales and profits. Puzzles are items with higher than average profits but slow sales. Plow Horses (sometimes called cash cows) are items with above-average sales but below-average profits. Dogs are items that are below average in both sales and profits. A menu matrix puts each item on your menu into four categories: Stars, Puzzles, Plow Horses and Dogs. We start with a menu matrix to better understand how your restaurant customers view your restaurant and food. Each day people are deciding if they will eat at your restaurant. And when they choose you, they are deciding what looks good to them. The matrix breaks those decisions into a format that provides insights into what customers are thinking. There are two parts to any great menu. There is the science part, which is the engineering process, and there is the art side of the menu, which is more subjective. 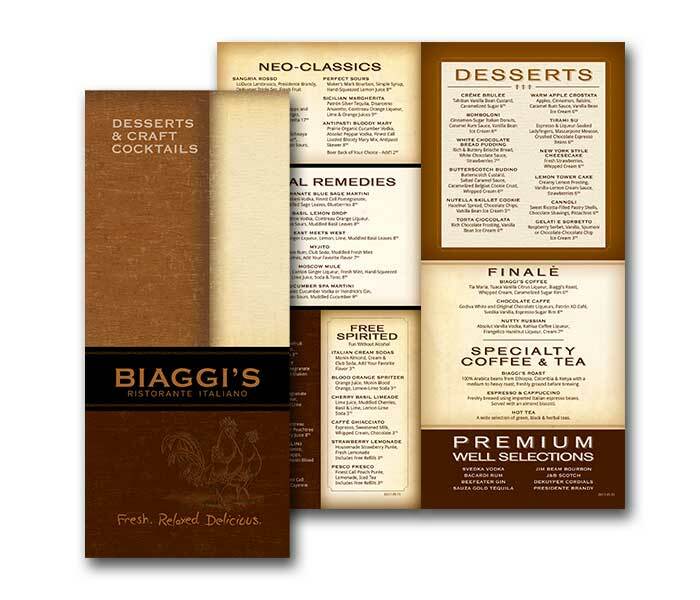 In making over the Biaggi’s menu, we wanted to introduce more levels of color and texture along with design elements and details to help their consumers navigate the menu. 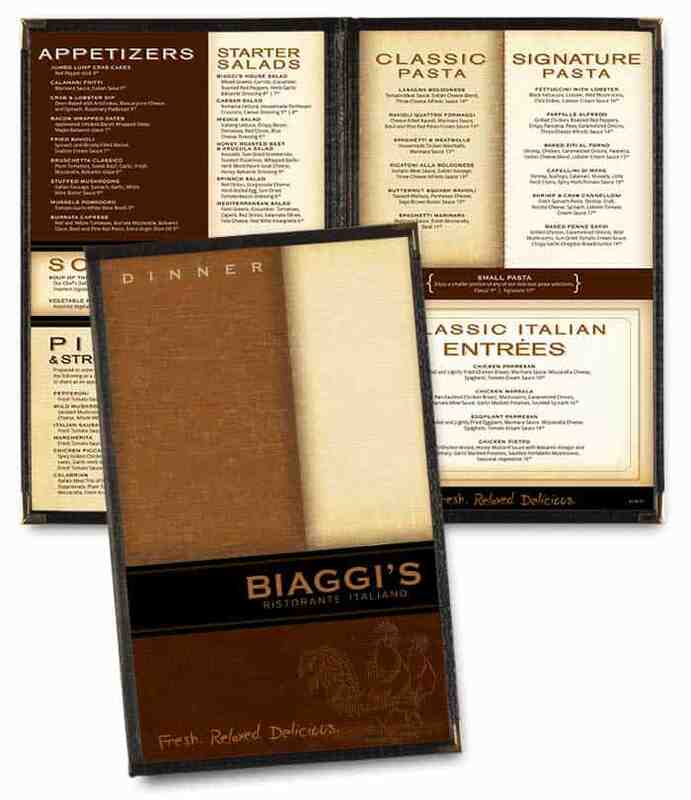 The final design gives Biaggi’s a stylish look that is more upscale than their original menu. At the same time, it is still very casual, which is what they wanted. 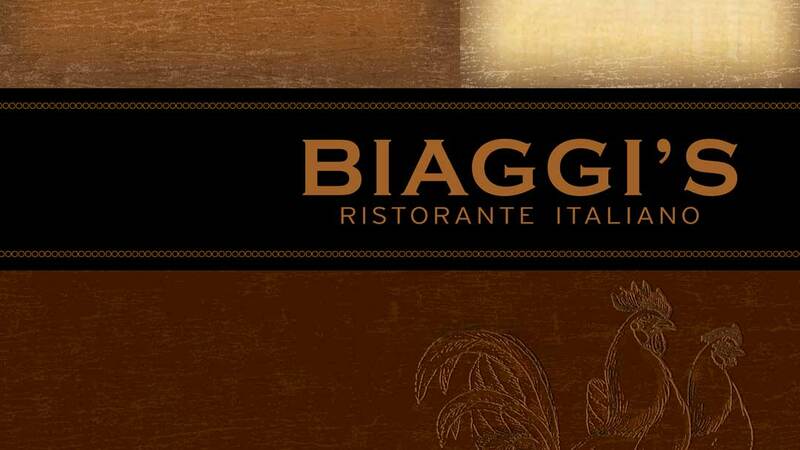 Do what Biaggi’s did. Contact HotOperator for your Menu Matrix!